Robben_Island003: Robben Island: Ozier Muhammad Photojournalist and Lecturer on Trends in this medium. 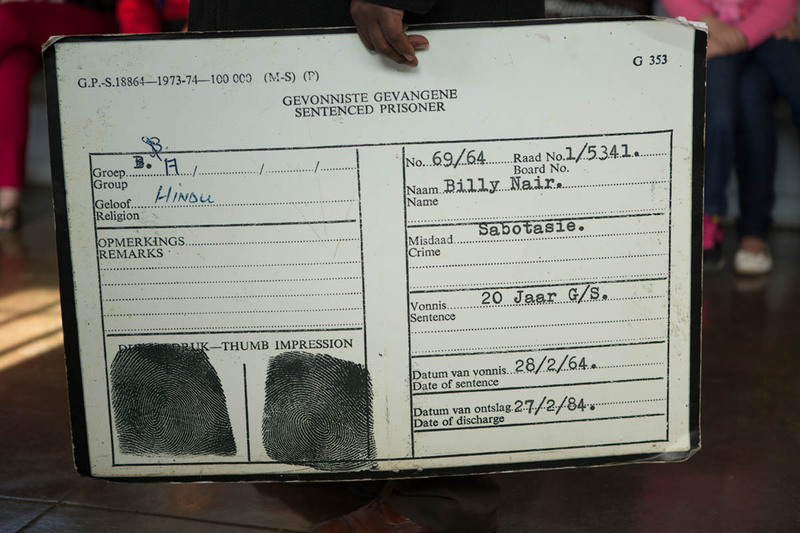 07-05-2013 - A file card indicates charges South Africa's Apartheid Government brought against this prisoner. Billy Nair was charged with Sabotage.